Welcome to our Nest! Come in, relax and let us take care of the rest! I have always enjoyed taking care of people since I was a little girl and after years of gaining the courage to fly, I opened up my own spa in Milford in 2010, and in November of 2014 I moved my business to Milton, DE and added services. It was here in Milton that I was able to fully create the friendly and loving environment I wanted Nest Spa to have. 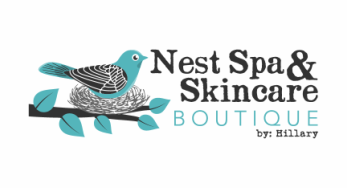 In addition to our great services, Nest Spa has superior products I have personally tested and handpicked with purposes to meet all of your skincare needs.